If you had a chance to visit the arcades in their heyday, there was no way you could have missed Dragon’s Lair. It was unlike anything anyone had seen up to that point, using cartoon graphics from former Disney animator Don Bluth running on laserdisc when other games were using indistinct sprites. Not only did the game start the cartoon action game craze of the 80s, it also created the idea of the Quick Time Event, as the entire game was about making the right moves at the right time. With the advent of iOS and Android and the popularity of Retro Gaming, it only seems natural that Dragon’s Lair would be ported to the touchscreen. The question is whether this arcade legend is worth picking up on these modern devices. This review is based on the Android version of the game. To call Dirk bumbling would be an understatement. 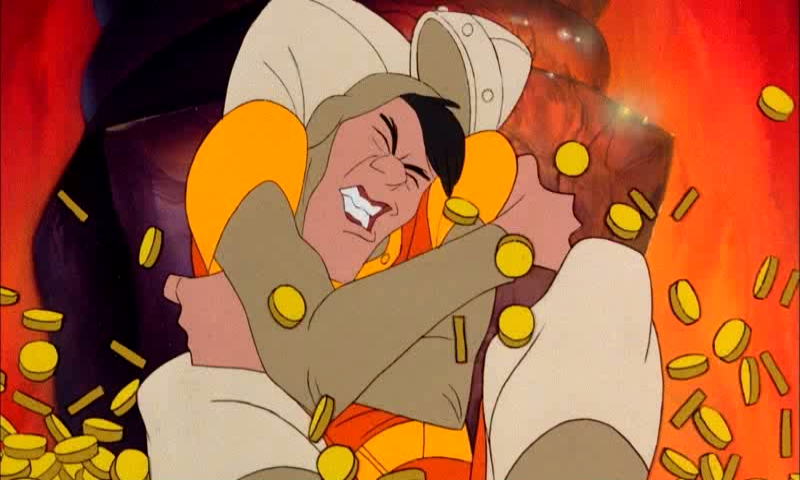 In Dragon’s Lair, you play Dirk the Daring, a bumbling knight who is doing his best to rescue the princess Daphne from the dragon Singe. 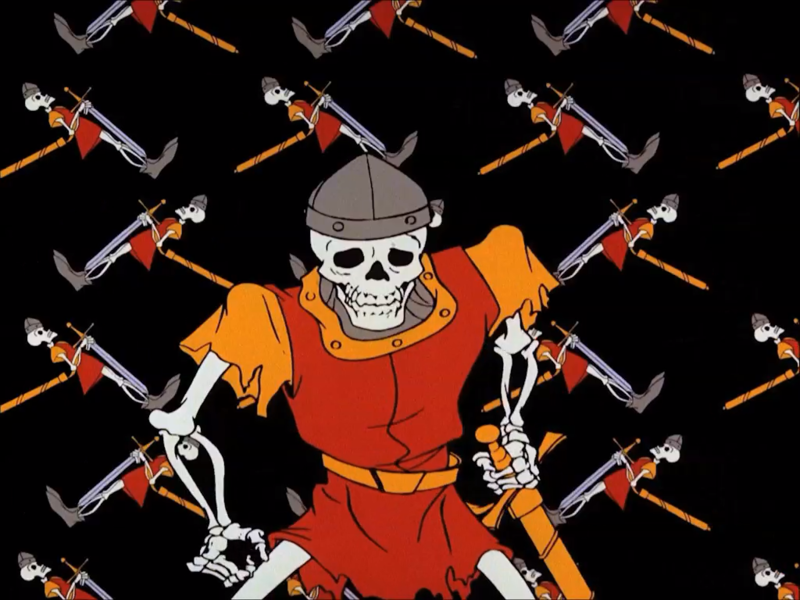 In order to accomplish this task, he must make his way through a castle filled with skeletons, ghost knights, snakes and many other assorted dangers and traps. You control Dirk, but only so much as the game allows. What transpires is a series of cut scenes where you must time your moves with the visual clues of the game. 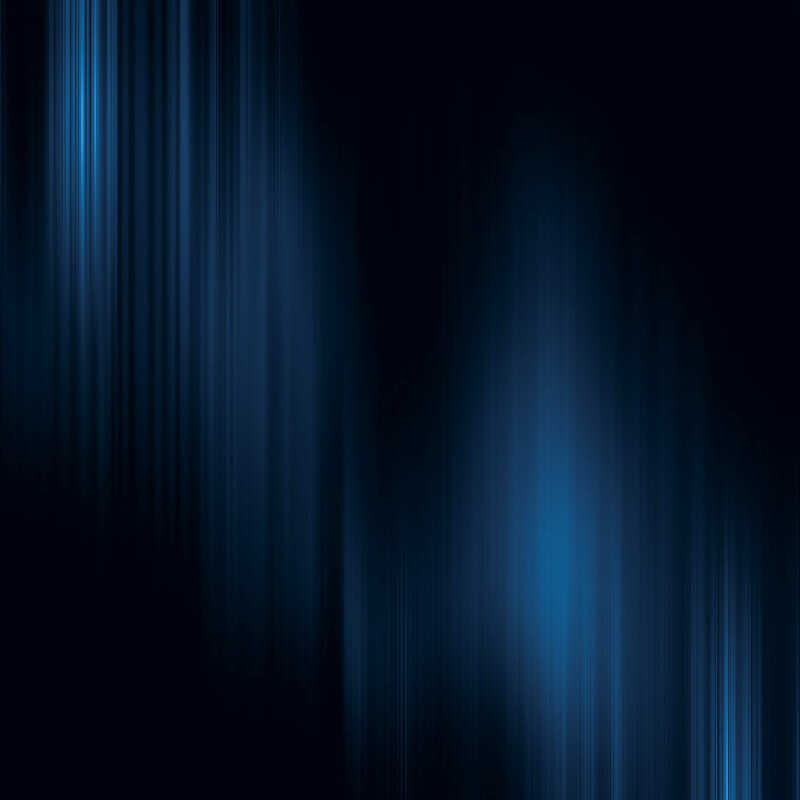 If an area flashes, you need to move there at that time. If Dirks sword flashes, you need to hit the sword button to swing it. Execute the move at the proper time, and you will advance to the next move and eventually the next screen. Execute it at the wrong time, and you will be greeted with an often humorous death scene, followed by Dirk being resurrected among skeleton versions of himself. The Arcade version of this game was known for two things: needing to memorize the moves necessary to pass certain levels or boards and the complete randomness of the levels themselves. You had to pass certain boards a specific number of times before you would get to the showdown with Singe, but the order of these boards from playthrough to playthrough were never the same, and when you died, there was no guarantee you would come back to the same board. The home version of the game actually put the various boards into a form of order, and if you died, you restarted on the same one. So what about the Android version? Well, it gives you a few choices. You can play the random arcade version or the more structured home version. You can also set your lives to 3, 5 or infinite and decide whether or not the game will give you move hints on the touchscreen controls. What this allows yo to do is to learn the moves yo may never have had the chance to or play the true arcade experience. The game also allows you to quit at any time and save your progress, so you can play it in bite sized bits. The simplicity of the controls is almost tailor made for touchscreen. So how do the controls translate? Relatively well, actually. The simplicity of the actions needed to pass the various boards plays to the strength of the touchscreen. You have four arrows on your right hand side to control Dirk’s movements and a sword button on your left (the controls can reversed if you prefer). You can even choose the size of the controls with small, medium or large options. If you have the hints on, the control you need to hit will light up when the time is right; otherwise, you will have to rely on the clues within the cinematic scenes themselves, just like the arcade version of old. Graphically, the game looks amazing. Lazerdisc was the one of if not the first true HD experience, and it shines through on Android. If you find the game is running a little sluggish, you can turn on a compatibility mode which will allow the game to run on less power for better performance. Would you pay $4.99 to see this screen again and again? While I can honestly say the Android version of Dragon’s Lair is the best I have played, there is one issue with it: the price. The game goes for $4.99 on the Google Play market. Sure, this is a great port of the game for those who remember it or never got to play it, but games have evolved so much since the 80s, and $5 is just a little much to take even a rather nice trip down memory lane. Still, if you always wanted to get that chance to actually beat Singe and rescue Daphne or are wondering just what all the fuss over this game was about, there is a free trial version of the game available. You may find the game is still worth the price, as I ultimately have. 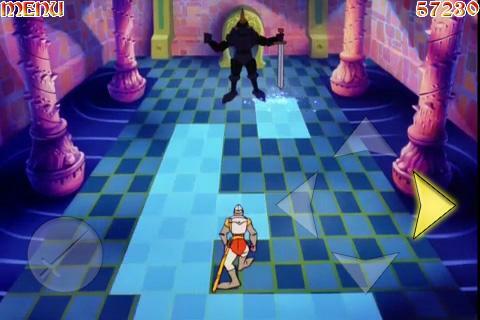 Dragon’s Lair on Android gets and 8 out of 10. The iOS version of the game is only $0.99, by the way, but based on the screenshots, the graphics of the Android version are much more true to the arcade experience. Still, you can’t beat that price. This entry was posted in 30 Reviews in 30 Days, Android, iOS, Retro, Retro Active, Reviews and tagged Android, arcade, don bluth, dragon's lair, ios. Bookmark the permalink.